Roché specialise in the supply and install of Markilux and Weinor awnings. These brands are renowned for their innovative designs, exceptional build quality and high levels of customisation options. 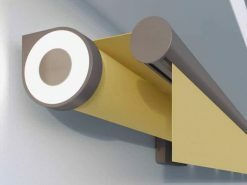 Roché offer German-engineered products to the UK market, with a network of surveyors and installers based in the south of England. We work closely with Markilux and Weinor to ensure they have everything they need to manufacture each awning according to your exact requirements. Our surveyors visit homes across Hampshire to take measurements and assess which options will be best for fixing. This enables us to ensure the perfect installation, whether it is a patio, veranda, freestanding, conservatory or vertical awning. Feel free to browse products on our website, or speak to one of our awning experts for advice. 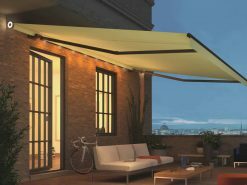 Markilux and Weinor’s patio awnings have UV-stable and water resistant fabrics, and are retractable with moving parts which stand the test of time. 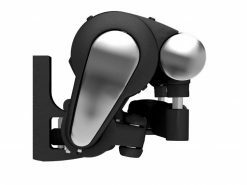 There are manual and motorised options available, and sizes can be adjusted to the nearest cm. 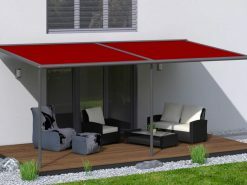 On our main patio awnings page you will be able to choose from all cassette types, and Stretch models which are suitable for long, narrow spaces. Many homes across Hampshire already benefit from a Roché patio awning installation. Contact us to find out why. 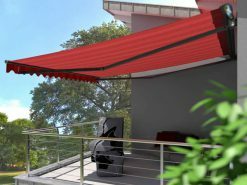 Veranda awnings are designed to cover large areas or gardens exposed to stronger winds. Front support posts ensure stability all year round, while the fabric is guided at the edges to minimise the effects of a breezy day. They are suitable for everything from domestic rural retreats to bars and restaurants in Southampton or Portsmouth city centre. 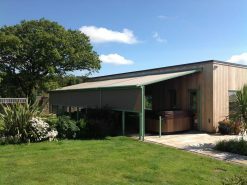 If a veranda awning sounds like a practical choice for your property take a look at the full range or contact the team. Steve is our main surveyor for Hampshire. He visits both domestic and commercial properties and will assess your requirements, measure up and answer any questions you have regarding our awnings. 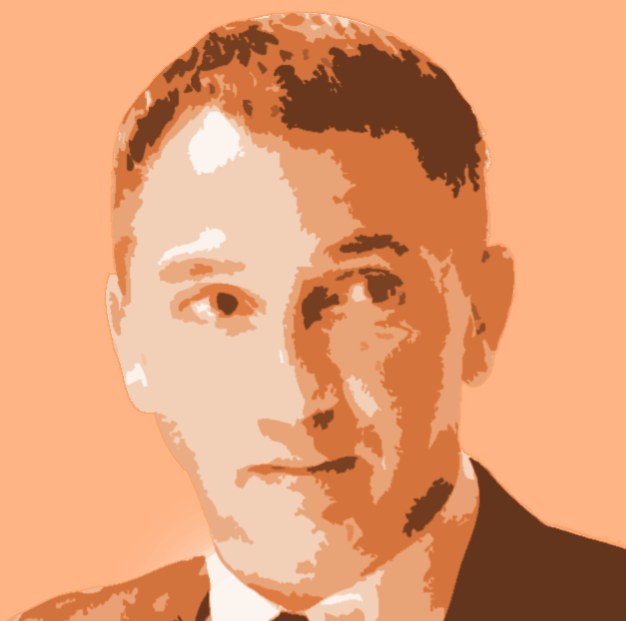 He works across the Hampshire, assessing the requirements of properties in Southampton, Portsmouth, Basingstoke, Eastleigh, Gosport, Farnborough, Portchester and Aldershot, amongst others. If you are interested in finding out more about our Hampshire awning survey process, speak to the Roché team. They will arrange a date and time for Steve to visit when it is convenient with you.